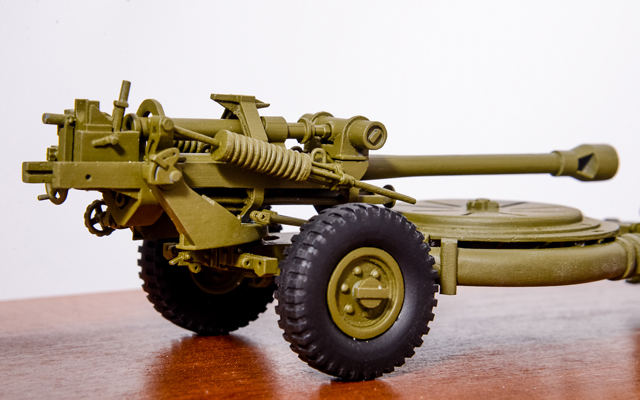 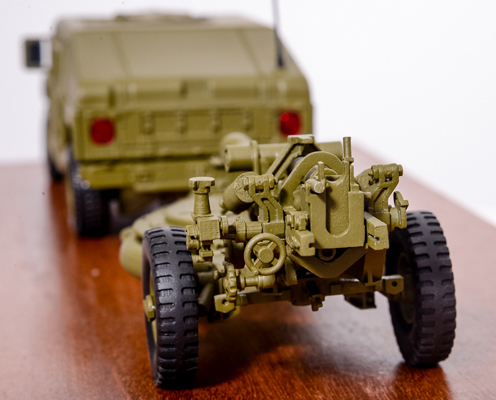 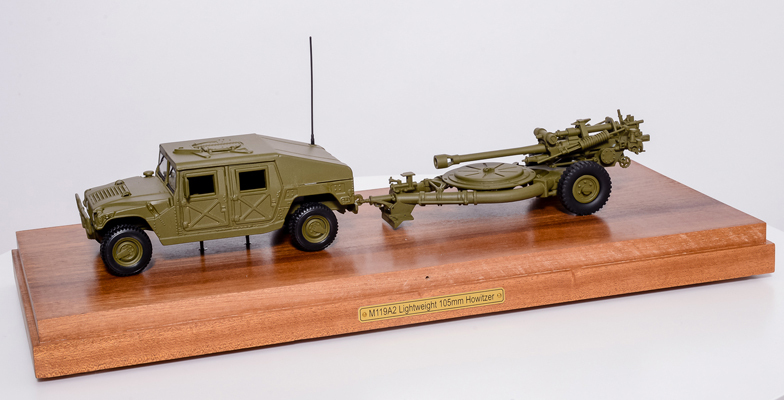 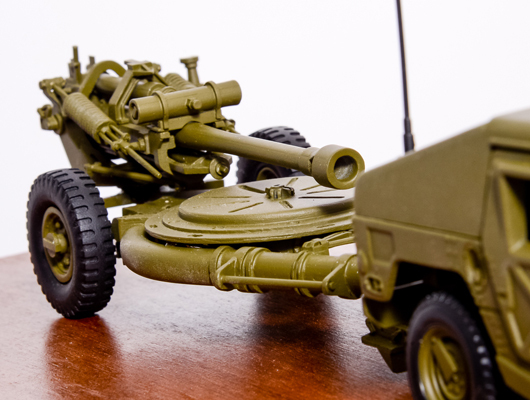 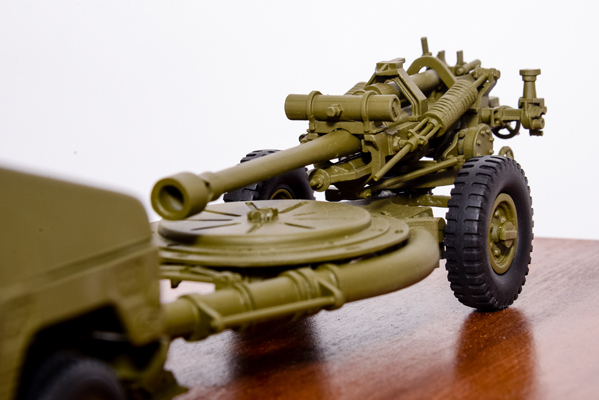 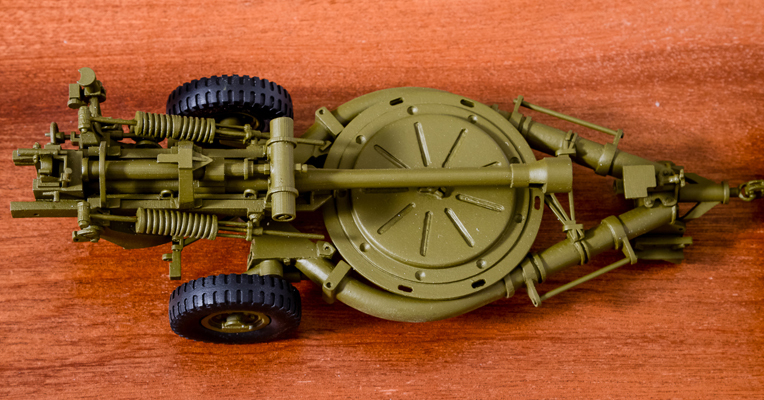 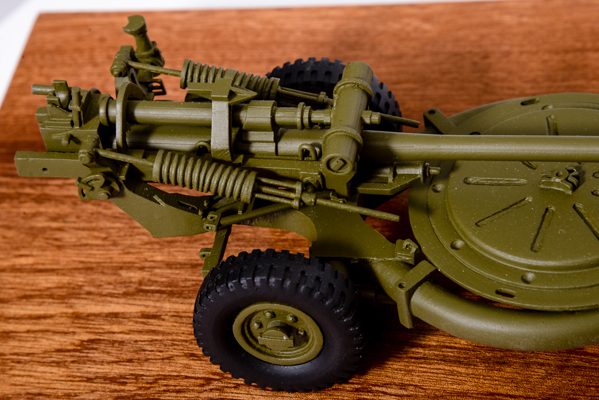 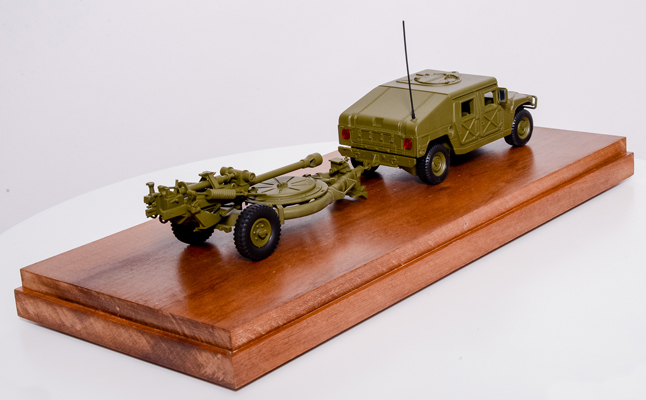 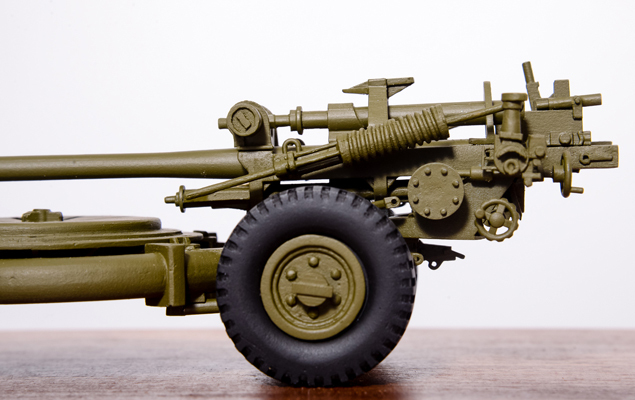 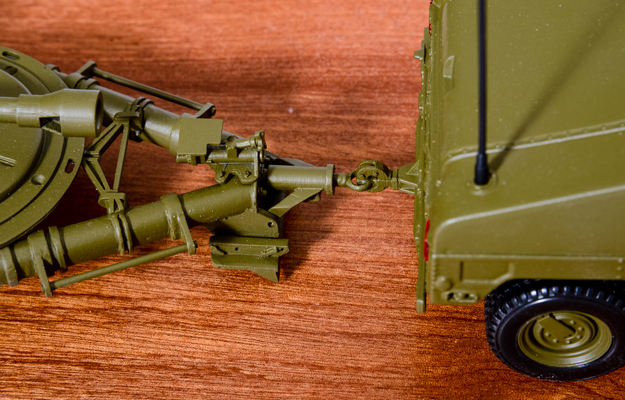 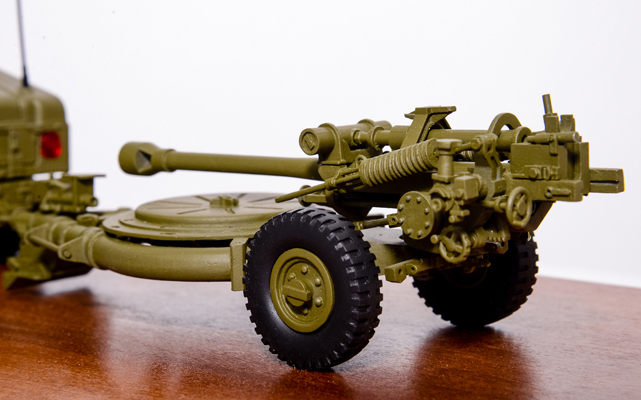 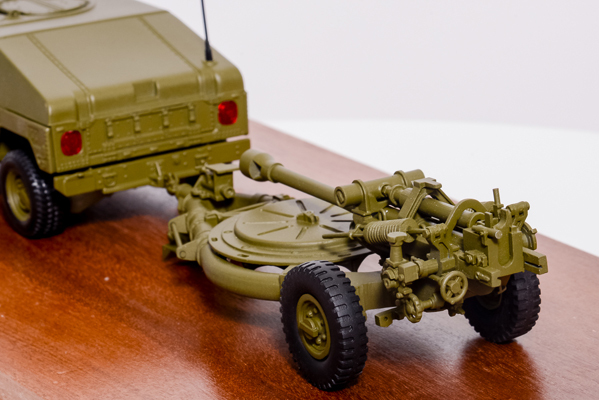 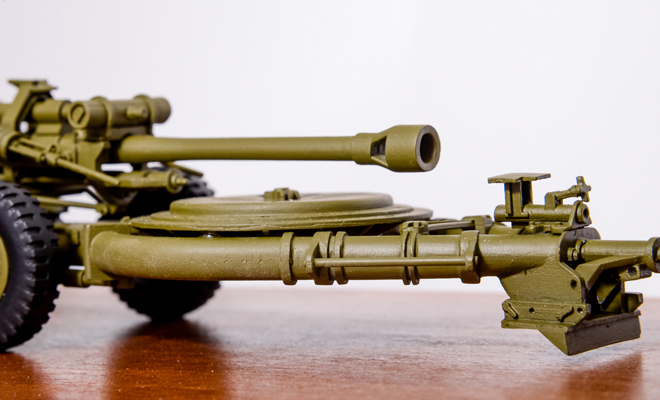 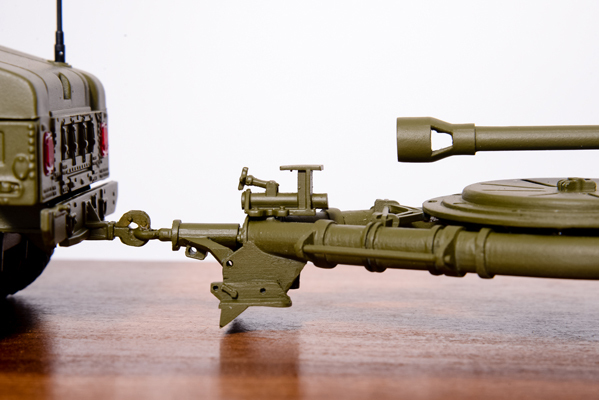 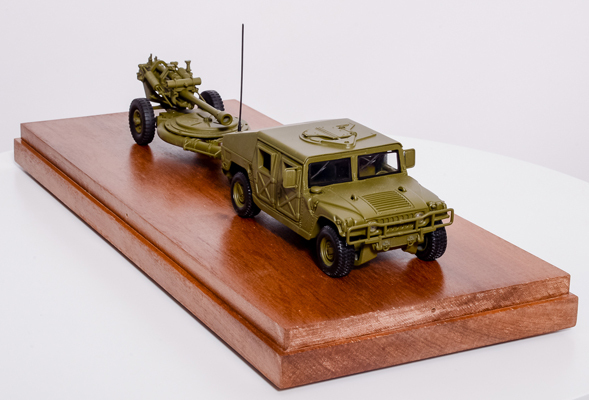 This is a 1:25 scale replica of the M119 A2 105mm Lightweight Howitzer set in Folded Towed Position. 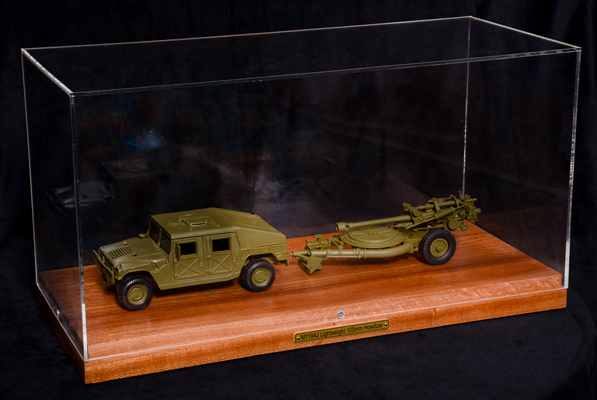 This replica is combined with a replica of the HMMWV ammo carrier. 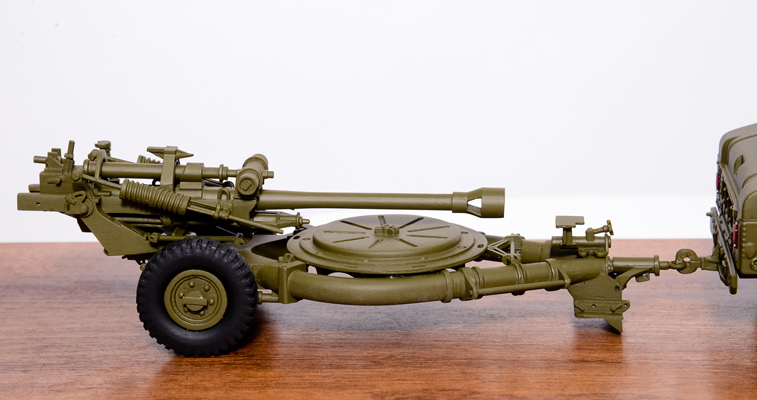 The howitzer's replica is highly detailed and accurate. 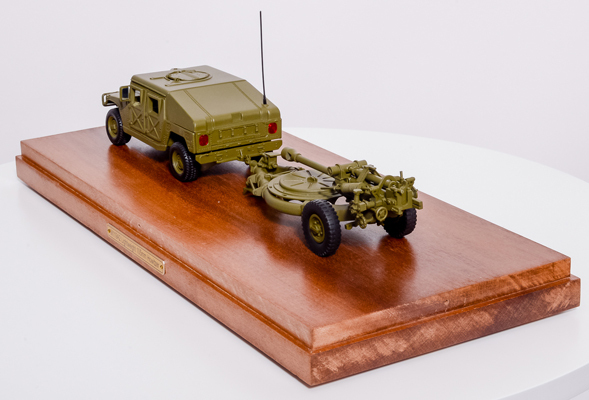 It made of pewter and resin, mounted on a Mahogany base with a nameplate, and accompanied with a clear protective cover. 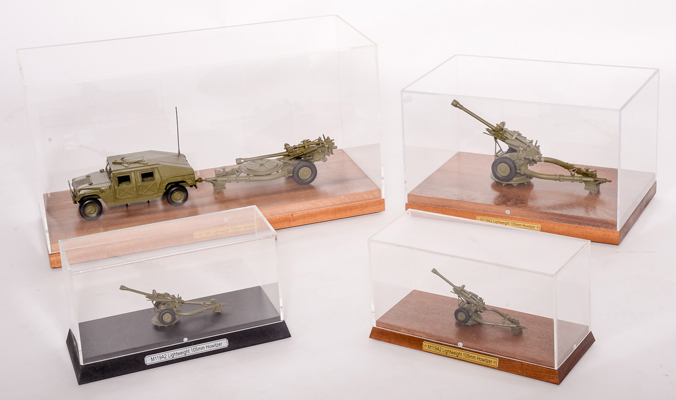 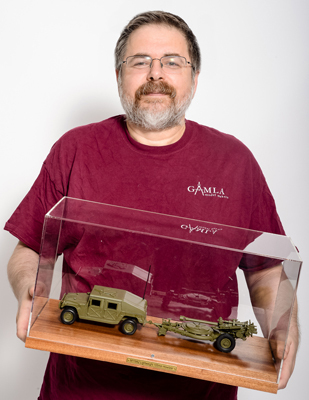 The replicas are available for sale for military and defense professionals, exclusively from Gamla Model Makers.